Get FIT on the GO! Fleet Feet Sports Annapolis | Severna Park are partnering up with Athleta to offer Mobile Shoe Fittings! The best of both worlds are colliding for your one-stop shopping convenience; top of the line women's athletic apparel, and professional and personalized shoe fittings! Our Fleet Feet FIT Professionals are lacing up and hitting the roads and visiting all 3 Maryland Athleta locations in the upcoming months. Our FIT Process is dedicated to finding the right FIT for you in all aspects of your life. Our personalized shoe fitting process starts with getting to know YOU by analyzing current footwear, knowing what you'll be doing in your new shoe whether its walking, running, weight training, aerobics. We'll take a couple different measurements to get an understanding of your bio-mechanics and analyze your gait. From there we'll be able to make the best shoe recommendation for YOU! We're dedicated to supporting the running community and outfitting you in all the proper gear you need to be successful. 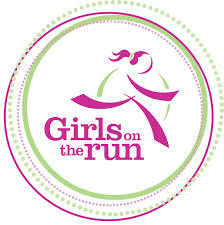 For every shoe that is bought during our Mobile Shoe Fittings, Fleet Feet will donate $5 to Athleta's charity partner, Girls On The Run, that is a non-profit organization that encourages mental, physical, and emotion health in female youth through physical exercise and running.